As we had very little time to work on the game (4 month development, less than 10 work days reserved to this project), we needed to create efficient production methods. My role was to make sure that the whole team was working in the same direction, keeping deadlines, and dispatch tasks for everyone to work in an efficient and fullfillng way. The small size of the team made us choose Trello over other project management tools, for more flexibility. I created the original planning (Gantt Chart format), taking all the time and ressources we had into consideration. Inside the planning, we turned to Agile iterative development (User Story based) to sharpen our focus on the player's experience. 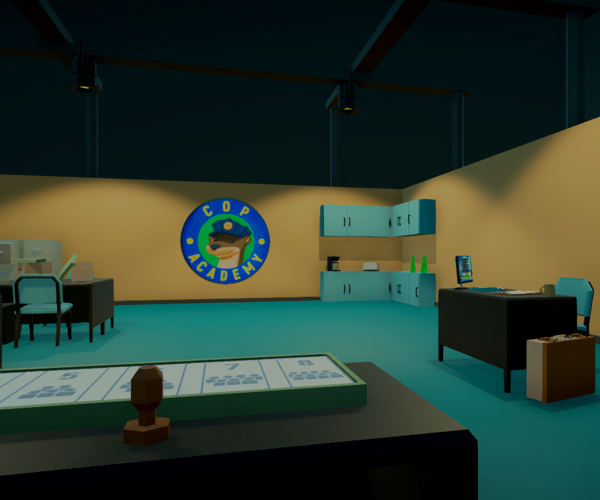 Important constraints were the absence of game artists in the team, and the lack of dedicated time to develop the game in our classes schedule. The main constraint was the goal of releasing the game to Steam : some decisions had to be made for the game to be a suitable paid product. We cut some features in order to focus more on the polish and playtesting of the game. Site design: HTML5 UP "Phantom"